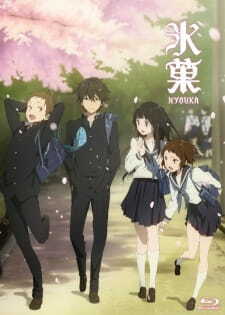 School life is an important part of youth so it is not unusual that there is a huge variety of anime shows exploring this theme. Take a look at this list of the best 15 school anime to see what makes them so interesting and captivating! Brown-haired anime guys may not stand out as much as those with hair of other colors, but don't underestimate their inherent hotness. This article is dedicated to all the sleepyheads out there. And it's comforting to know that you're not alone, as we uncover the best anime sleeping faces! Anyone old enough in the anime industry knows about this ongoing clash about moe. Will you join the side of the loving fans, or do the edgy haters fit you better? Take your time guys. I can do this all day. What Is Hinamatsuri? All About Japan's Doll Festival In Anime! Japan is a colorful country with many different exciting festivals. The Hinamatsuri festival is one of them, and you can see it in many anime. But what is it really about and how is it celebrated? Well, you can find out here!